Stuffed from your big Thanksgiving meal? Us too. The cure is moving. C’mon outside and get your blood pumping for a good cause. 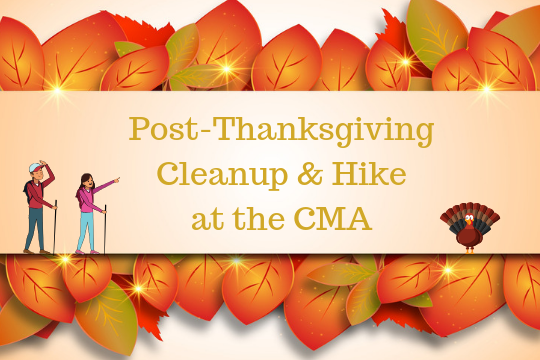 We need to get our CMA in tip-top shape for the winter, and we could use your help. After we spend some time sprucing up the area, we will reward ourselves with a scenic hike through the trails. Hiking boots recommended and be sure to dress for the weather. Registration is required.